more tofu please: Eating with mi madre. I don't know how difficult transitioning your family into your veganism has been for you. For me, it was terrible. For the first year, my sister would invite me over for a "special" dinner then try to get me to eat meatballs. She has come a long way (she'll talk about her sister being vegan to anyone), but she won't eat anything with chickpeas or seitan in it. My mom, being allergic to poultry, was a bit better. Plus, she's watched me get sick after eating food throughout my life. I will spare you the details of the sickness, but note that I'm like a perfect radar for knowing if something really has dairy in it or not. Let's reverse to about 5 years ago: I was trying to save money and figure out what I was going to do with my life. Living with my mom for the last year of college went like this: you [mom] can't eat poultry and hate seafood, I can't eat red meat or dairy. What shall we eat? Insert: Vegan with a Vengeance and a some of the vegetarian recipes from my mom's random cookbook collection. We came up with "standby" meals. These were easy to put together and are comfort foods for me. This includes: frozen vegetable mixes (California veggie mix is my favorite), several kinds of beans, several kinds of rice or quinoa, and potatoes. When in doubt, my mother also will make me a baked potato! Flash forward to this weekend! I dropped by my mom's house to say hi, and we enjoyed my standby meal together. 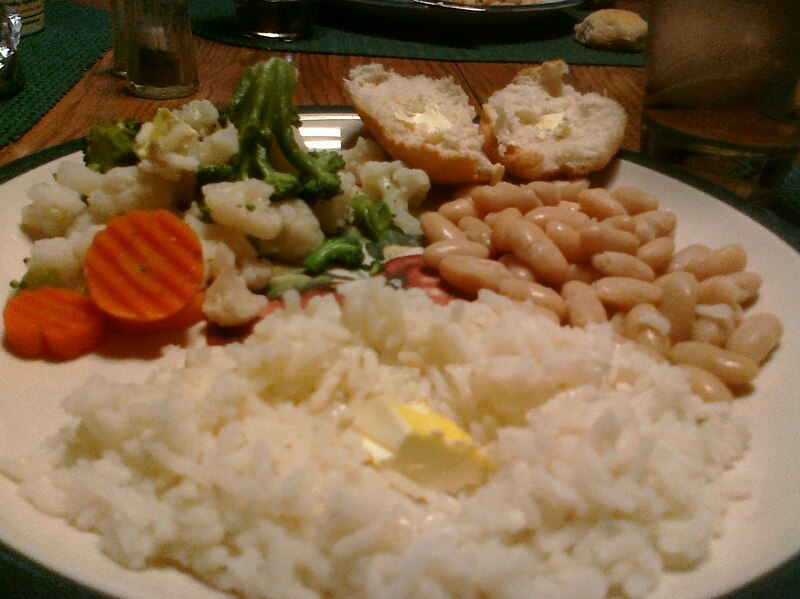 Rice, cannellini beans, and steamed california mixed veggies. 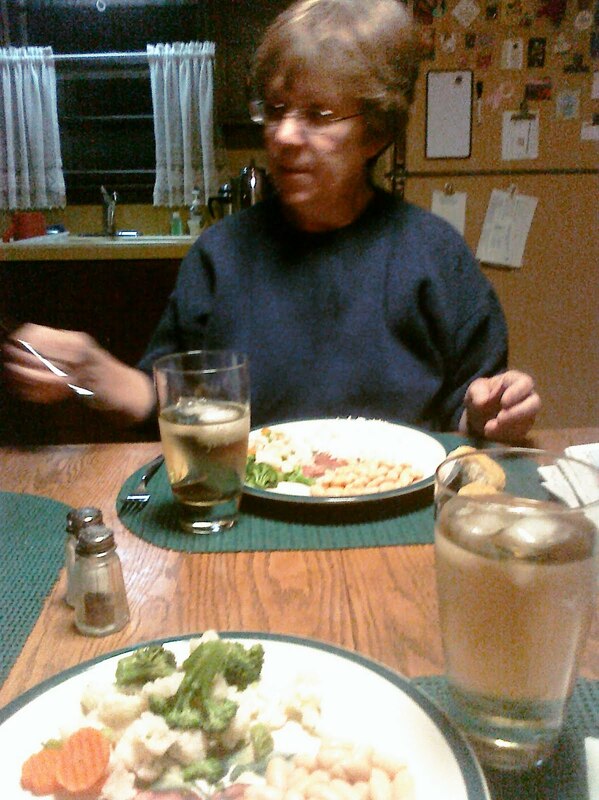 Besides potatoes, I can always count on her having ginger ale and earth balance sticks as well! My mom is super supportive now, which is great!